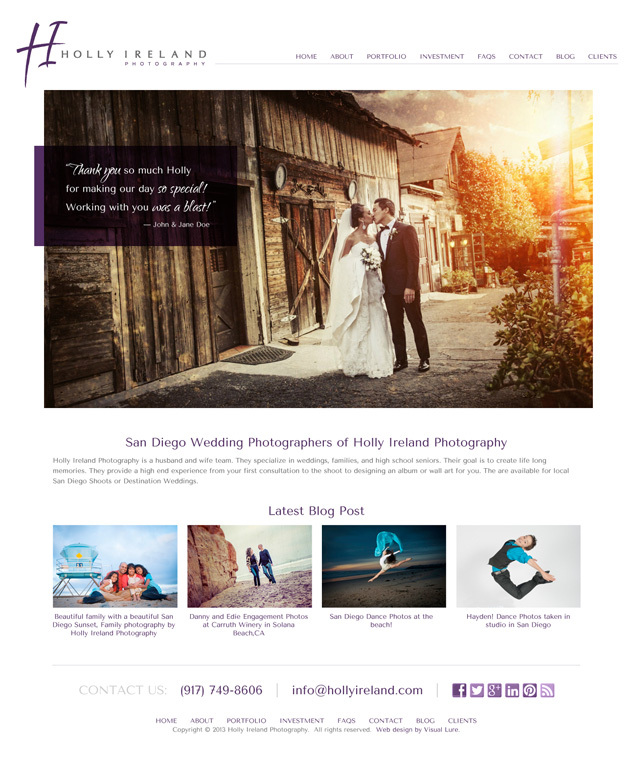 Visual Lure was recently contracted to help rebrand Holly Ireland Photography, a photography company based out of San Diego, California specializing in weddings, families, and high school seniors. 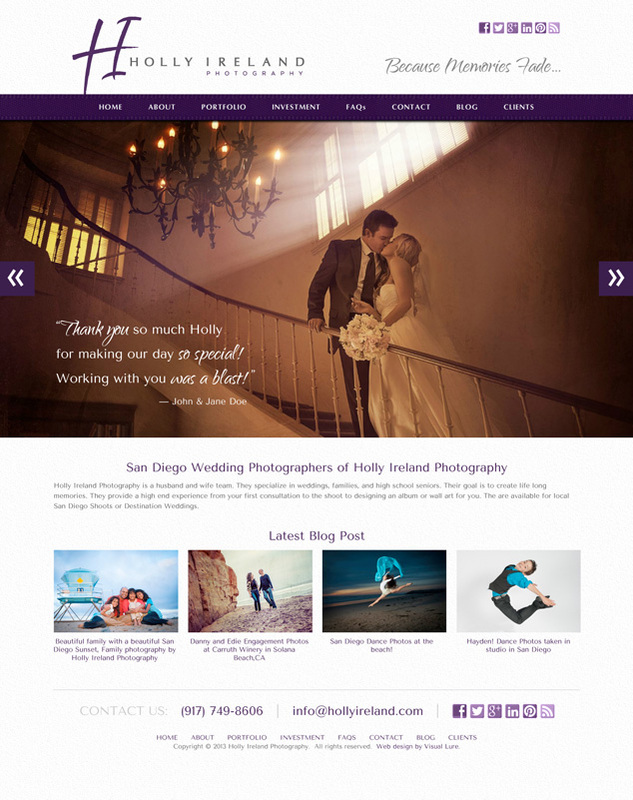 We recently completed their new logo, and have began working on their new website design. The new website will be built in WordPress using a custom designed theme. The new theme will be fast loading, easy to maintain and search engine optimized. Check back soon for the official website launch.